Following earlier reports, Arsene Wenger has confirmed that the club are set to sign Konstantinos Mavropanos, but says that the 20 year old will be sent out on loan for the remainder of the season. The Greek defender will join from PAS Giannina, and could be sent to Werder Bremen to allow him to develop further. 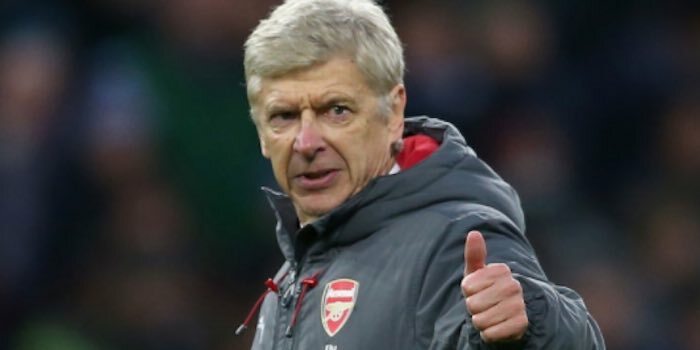 Asked if Mavropanos was close to joining at his post-game press conference last night, Wenger said, “Yes, but he is not ready to play for us. On the basis of some of our defending in the 2-2 draw with Chelsea, we should probably hang onto him, but it’ll be interesting to see how he gets on during his loan spell. It’s a path shared by another recent signing, Takuma Asano, now in his second season with Stuttgart. The Japanese striker has found goals tough to come by though, scoring just once in 18 appearances in this current campaign. Never heard of him lets hope the new scouts get of to a flyer ! On another not i liked asano he reminds me alot of okazaki a hardworker important to the team but unfortunately not getting the goals, can’t based on his current form see much future at arsenal. Thank goodness the days have gone when someone started the chant Give us a K,Give us an O etc. Couldn’t sign Kostas Manolas (Konstantinos Manolas)..so let us sign someone who sounds similar to him atleast.? Jokes apart.. it is always good to sign good young defenders and then develop them. Welcome to Arsenal young man. Could be looking at a few years of development 1st but hopefully it’s not needed. Ha ha. Development. Good one. Always good to get your internal solutions in place early. This is a bit of a weird one considering we’ve already got Chambers + Holding. Centre back is really a position you grow into with age…and who do we have between age 22 (C + H) and 32 (Kos)? Agree totally. Chambers and holding lack the pace and physicality needed to regularly play at least as of now. And we are one injury away from a CAB crisis situation. A Jan investment in an experienced CB is vital. Can’t even delay it in summer. I agree with you. Again they lack pace! they lack athleticism, they lack understanding and experience at the top level. Kos can just about manage two games a week and he’s now suffering. Chambers and Holding would not get into any of the top 6 first teams…With a planet of 6 billion + people we cant find 4 physically dominant runners with brains? for 75 million you could grow one in a laboratory and train them from birth lol. Based on the last two matches, Chambers has got some work to do to convince he’s got a future with the Arsenal. Aside from having a difficult night last night, I thought Chambers has been doing well. Because of injury he isn’t had many opportunities to play. When he has, amongst some good work he’s looked very error prone and is slow on the chase once beaten. Time will tell. I’m less positive than I used to be. Holding looks a better prospect but is also very slow. Even a top CB won’t fix us. We need some new defensive coaching. Vik Akers has his work cut out for him there! One of the things I’ve always liked about Wenger is when he buys players no ones heard of & turns them into stars.Vierra & Henry were both bench warmers before coming to Arsenal & how many of us had heard of Koscielny before he arrived so I’m curious about this one.Still struggling to figure out why Gabriel was sold.Okay,not the greatest but Mertesacker retiring at the end of the season & Kos’s advancing years means Gabriel was handy to have around in a crisis.Imagine if Kos ends up with a Cazorla type injury at the end of the season.Reasonable job done last night,when I saw the line up I cringed but pleased at half time,maybe not so much at the end.We need a Don Howe type defensive coach quickly!